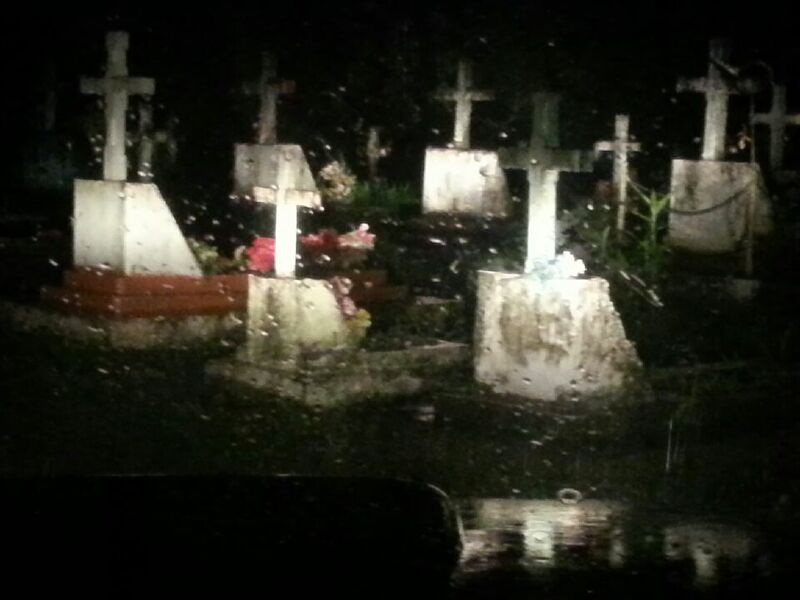 JK.Leahy© picture of Wagang Village Cemetery, Lae, Papua New Guinea. Taken on 2/10/2015. Thank you very much Louise. I hope things are going well for you. Hugs back. Oh – what would you like, could you re-blog any of the posts or what do you have in mind? (I owe Chris and the Russian American an interview). I should get that done next week. Thank you Louise, I shall hear from you. Have a great week. Hah – yes and you like graveyards too. 😉 Thank you very much for stopping by. Welcome! Hahaha – it sure is. Wow. That must have been quite a night. Love the poem, Joycelin! Oh my gosh. That must have been creepy! It was creepy – hahaha. How are you? Thank you for dropping by. Whoa! What a place to get stuck…. I know…it was scary, but fun. Thank you very much for visiting. How are you? I’m doing great. Just had my yearly physical and my doctor agrees with me!! (Now I just need to lose weight) Hope you are doing as well! That is very good news. I wish you well with the diet. I’m well, thank you for asking. We had a nice three-week break with my family in Lae. It was good to see my mother and aunties especially. My boys enjoyed the time with their uncles and cousins. Family is everything – cherish them!! That’s very true. I feel the pain when I don’t see them.